I have a collection of Marimo moss balls for added deco in the house. I am planning to put these fellas into separate jars with their own rocks. 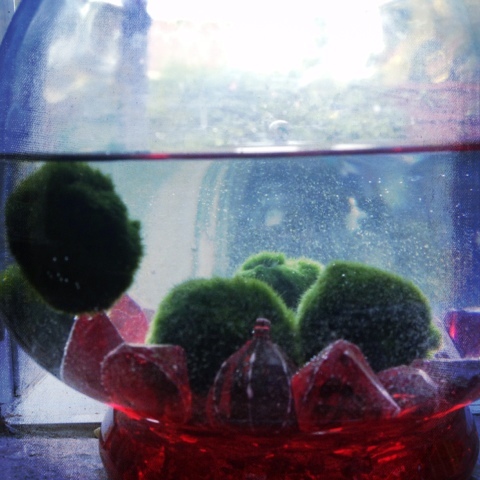 From what I have read on the internets they can survive in a jar with water changes every 2 weeks. We put one in with my sons teeny betta fish tank & it looks good next to the plastic plant. Apparently it helps with algae in the tank. Here they are in their temporary holding bowl. It all takes time to work even on the smallest project!